So you’ve decided to hire remote? Good idea. Working with a remote team can vastly increase your talent pool, save significant amounts on office overheads (on average $11,000 per company), and allow your staff to work in ways which suit them. Your remote staff are 13% more productive. And, according to Chris Byers, CEO of Formstack, they’re twice as likely to work beyond 40 hours a week. You’re getting more hours, and more out of each hour. …But don’t get too excited. Managing, training, and onboarding a remote team comes with its own challenges and difficulties. If you fail to train, you train to fail. Let’s be clear, if you want your team member to know what their role is, you need to know what it is too. Sit down and plan. Draw up what their goals will be, what their tasks will be, and who they’ll be working alongside in their day to day. Once you have this information you can use Process Street to clearly lay out the different sections of the role with our checklists, and then detail the specifics in the individual tasks of each checklist. By the end you’ll have a clear map of what the team member needs to achieve, what they need to do, and how they can go about doing it. Now you’ve made your checklist you can share it with your new hire and monitor their progress as they work through your established processes. Through mapping out the workflows and creating training scenarios with Process Street, you’ll be confident your team can operate efficiently and with a standardized approach. New hires are the best at integrating into a new system so they are yours to mould for the first few weeks. If you drill into them an efficient series of methodologies they will accept it as gospel and take it straight into the role. Use and edit this checklist to train new support hires on ticket processing. During the initial training process you can run through tests and scenarios using Process Street as laid out above. However, to ensure a truly high performing team you need to maintain an Eye of Sauron approach (insert much friendlier analogy…). 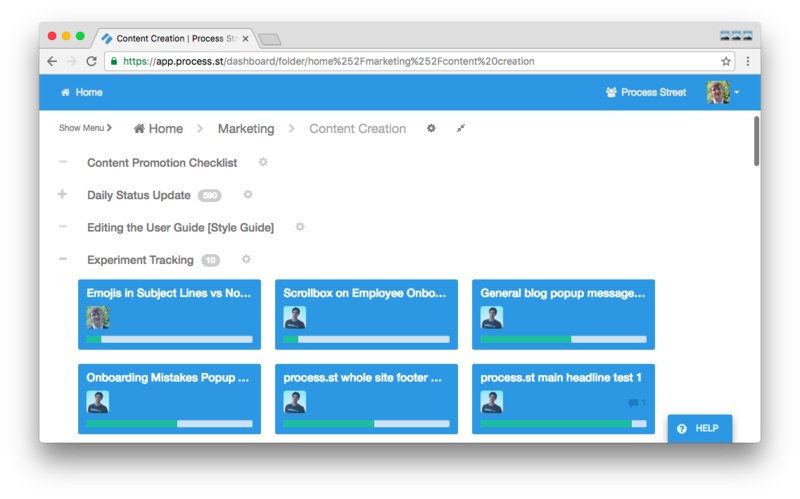 Software like Trello, Asana, or Pivotal Tracker allow you to monitor tasks, progress, and outcomes while making collaboration as easy as in any office environment. Staying agile and following scrum cycles is always a positive step toward high productivity. More than this, agile management methodologies encourage reflection and open critique amongst teams leading to better outcomes and raised professional development. 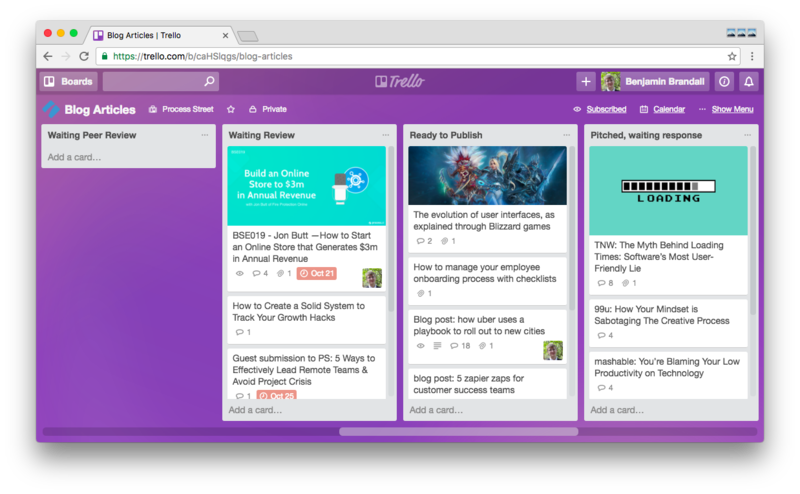 With project management software like Trello, which we use at Process Street, it’s easy to implement agile approaches keeping all team members on track in a collaborative manner. Hook Trello up to a team communication tool like Slack and you’ll have a seamless connection between progress and monitoring, helping you as a manager reach out to give advice and steer your newbie in the right direction. Communication is a vital part of any training and it’s super important that you establish good communication practices early in the relationship. Slack is by far the most popular team communication tool out there, but don’t shy away from investigating HipChat and other options. What’s right for one team isn’t always right for another. That said, Slack has a wealth of integrations and launched a fund of $80m to invest into third party applications which can help it sure up the marketplace. 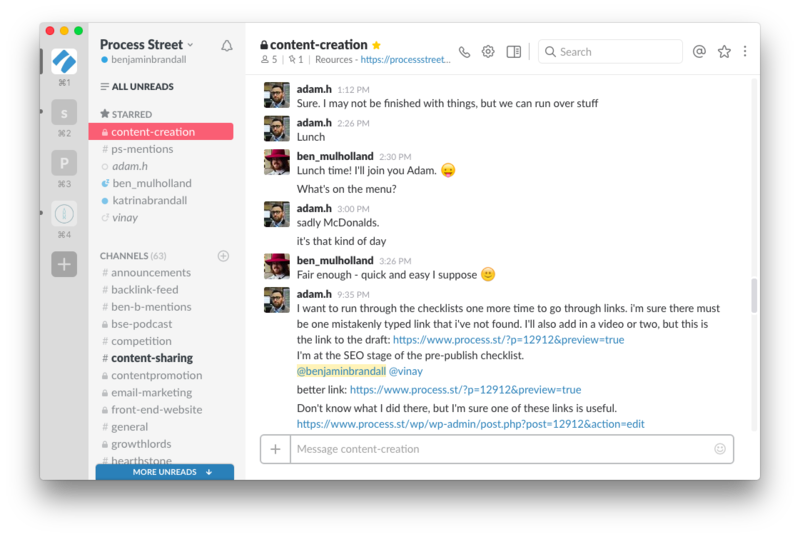 The ease of Slack and its simple UX is incredibly hard to compete with. 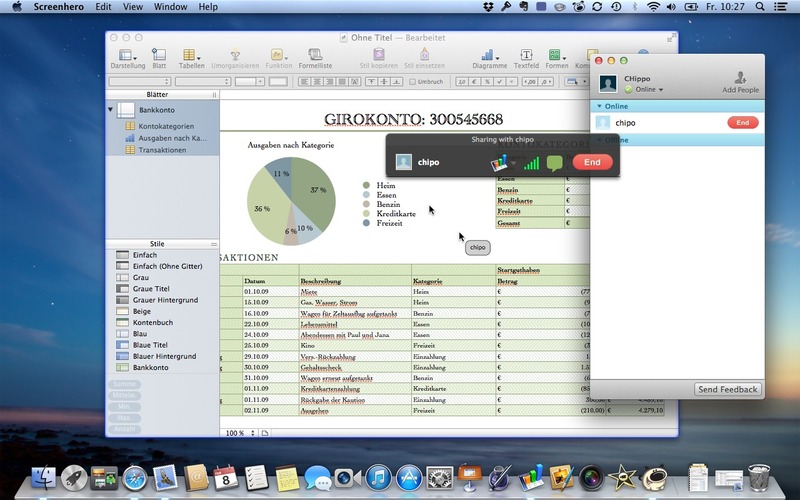 Ensure on whatever group communication tool you choose that you sort and organize clearly and effectively. A remote team will use Slack heavily so they need to know where to find information easily and how to contact the right folks without accidentally spamming the rest. Given the likelihood of different timezones for a globally spread company, remember to run new hires through Slack’s notification system and how they can configure it to meet their needs. You don’t want to be tossing and turning through the night as your phone buzzes itself off your nightstand. Trust me, I’ve made that mistake. 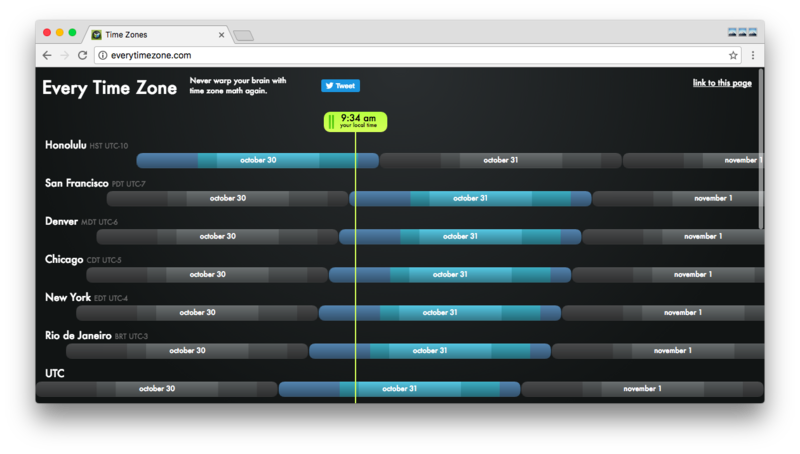 Tip: Use Every Time Zone to work out the best times to communicate with your new hire. Now, non-verbal communication like Slack is effective and will probably prove to be your go-to way of reaching out to a colleague or passing on tremendous kitten gifs, but it isn’t the be all and end all. It’s very rare you’ll find a successful remote team who don’t use calls of some description. According to Sara Sutton Fell, CEO of FlexJobs, her team’s research on 52 different 100% remote teams showed 51% used daily phone calls, 39% used video calls regularly, and 50% used screen sharing regularly. Well, there’s countless benefits to video chat providers such as Skype or Google Hangouts. People tend to communicate better verbally and complex problems can often be worked out much faster. Moreover, company culture is an incredibly important thing and friendliness can be reinforced through face to face contact. When you have a new hire be willing to invest time into them and introduce them to different staff members via video; tell some stories and crack some jokes. Yes, this may feel like you’re stealing some productivity away from the team but the added moral, loyalty, and openness you’ll cultivate will pay dividends in the long term. Be aware though, calls will need to be structured and monitored. Allegedly, 9/10 people daydream in meetings, so get people onto video to push them into focusing more. Keep track of the participation rates of each member on the call. Is someone being left out, not contributing, or regularly pulling the team off topic? This could be damaging productivity or be a sign that an employee is feeling alienated. Remember to ask direct open-ended questions to different team members to boost engagement. Particularly with new hires, this allows team members to ask about things they aren’t sure of and creates an openness which will foster an improved culture of peer to peer learning – great for morale. To best structure calls you can create a checklist on Process Street and invite all the participants in. This way the agenda is known before hand and everyone can walk through it as the call moves forward. This keeps people focused and productive; cutting waste. According to Caitlin Origitano 80-90% of US employees are looking for remote work, and remote workers tend to be 76% more loyal than their office based counterparts. These two stats seem a little unrelated at first, but what they mean is your chances of hiring a first-time remote worker are high. Unless you specifically choose to only hire people who have done remote before, you’ll have to deal with some newbies. Prepare resources on working remotely and give them to the candidate as a reading list or through a Process Street checklist. Ensure they’re up to date on productivity techniques, agile methodologies, and trained properly on the different software you use in the company. Make sure new remote workers have someone they know they can reach out to for questions or worries, and help guide that person through their professional development. It will be worth it for you and the company in the end. A buddy system of mentoring can help spread these responsibilities out through the team and help build morale and a sense of togetherness. 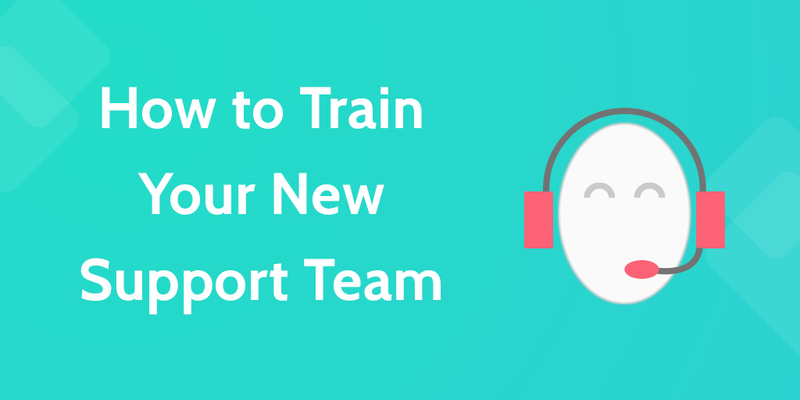 You’re now ready to go out, hire, and train your new remote support team. Congratulations. Now go get ‘em!